Michael Golden joined David Walther Law in 2016 of Counsel, to augment the firm’s capacity for Mediation, Settlement Facilitation and Collaborative Divorce in financially complex cases. Mr. Golden continues in that role at WBMH. 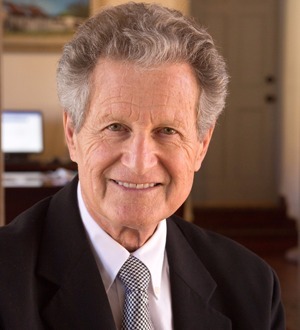 His career spans all aspects of family law for more than 40 years of practice, including 31 years at the helm of Moore & Golden and, 11 years at Sutin, Thayer & Browne. Mr. Golden will concentrate on Alternative Dispute Resolution – the aspect of family law which most closely reflects both his abilities as a negotiator and his personal disposition (as witnessed by 35 years as a college and high school soccer referee!).Mr. Golden is Best Lawyers in America® 2016 Santa Fe Family Law Lawyer of the Year. He has perennially been listed by Best Lawyers® and is AV rated by Martindale Hubbell. Mr. Golden is a trained mediator and is frequently appointed by the court to resolve difficult family law cases. In addition, Mr. Golden routinely volunteers for Resolution Day, a settlement facilitation program for unrepresented litigants. Mr. Golden has a high success rate in resolving family law cases.